Catalan Tomato Toast: "Pan con tomate" is basically the way Spaniards bring bread to the table. They put olive oil on a baguette and literally rub a half-sliced tomato on it. This one is heavenly. Dense and delicious. Must have eaten 5 pieces of it. Flam D'Eriço: Sea urchin flan with caviar and shrimp chili oil. When I asked the waited the one dish I had to have, this was the one he suggested. It was "OK." I enjoy sea urchin in many forms. The flavors in this dish weren't working for me. The execution was on point but I wouldn't order this again. We ordered two of the them for the table and ended up sending one of them back after tasting the first one. 18 Mesos Pernil Serrano: Serrano ham aged 18 months. Delish and worth the price. A good size portion and I suggest you order a cheese plate to accompany it. Pernil Iberic: The highest grade Iberic ham that they have. If you've never had Iberic ham you must try. The most flavorful ham on the planet. The 18 month serrano ham is great until you taste the Iberic. It's like loving your Toyota and then hopping a ride in Lexus...great but not in the same ball park. 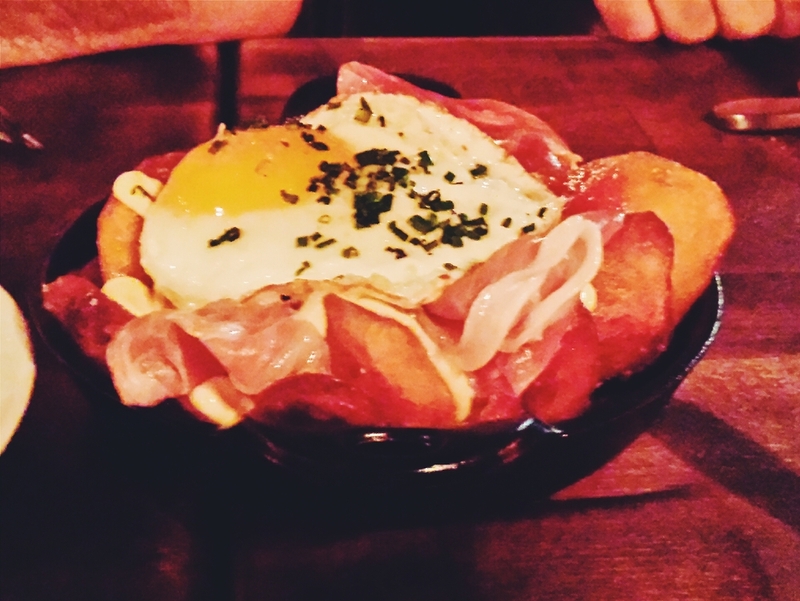 Braves Trencades: Fried potatoes, chorizo, serrano ham, covered with a fried egg. Besides the Iberic ham this was my favorite dish of the night. Savory, salty, and the runny egg is making my mouth water as I write this. This is a primo dish. Polp A La Brasa: Smoked octopus on a garden herb salad with a potato vinaigrette. A smokey yet refreshing dish. The fresh herbs bring out the flavors of the octopus. I will be eating this again. 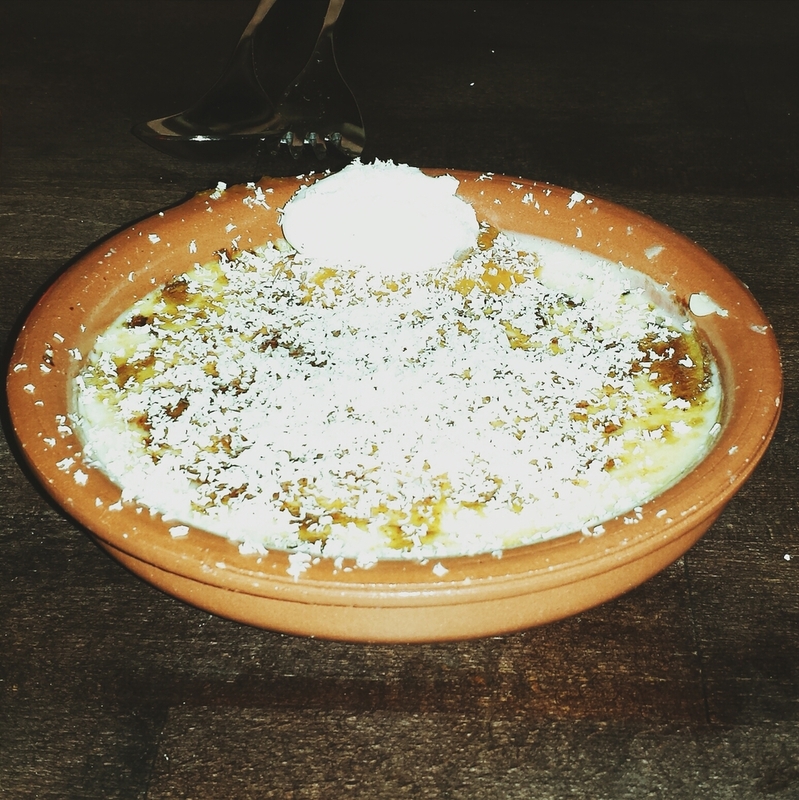 Crema Catalana: For those of you not familiar with this dish it's very similar to a creme brulee. The reason it's very similar to creme brulee is because it's the exact same thing. Creme Catalana is from Spain and creme brulee is french. Perfect way to end the savory meal with some smooth sweet goodness. So if you want some authentic Spanish food in Socal look no further than "Smoke Oil Salt." I have a feeling this place is going to stick around for a while. Also for you Spanish wine enthusiasts their wine selection is wonderfully curated and even features the king of Spanish wine Vega Sicilia. Those are a little out of my price range but it's great to see them on a menu. 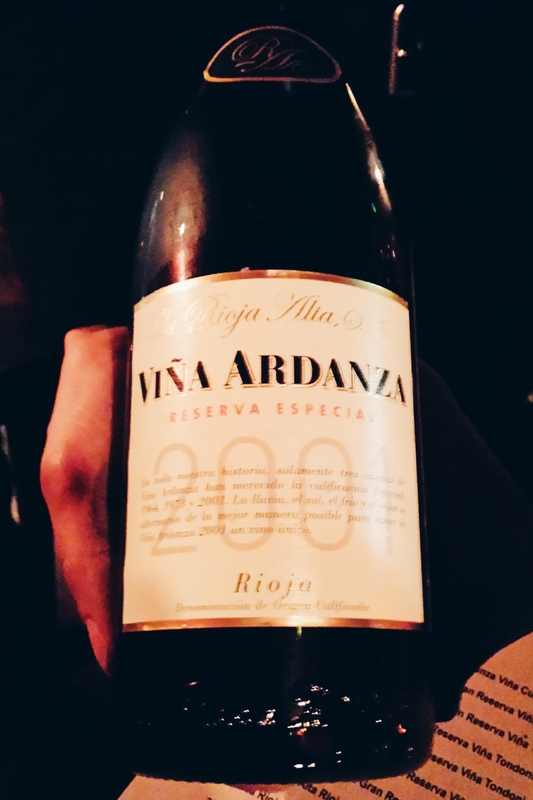 I stuck a great rioja pictured below. This place is The Yum Yum Foodie approved. My compliments to chef Perfecto Rocher.